Hey guys! 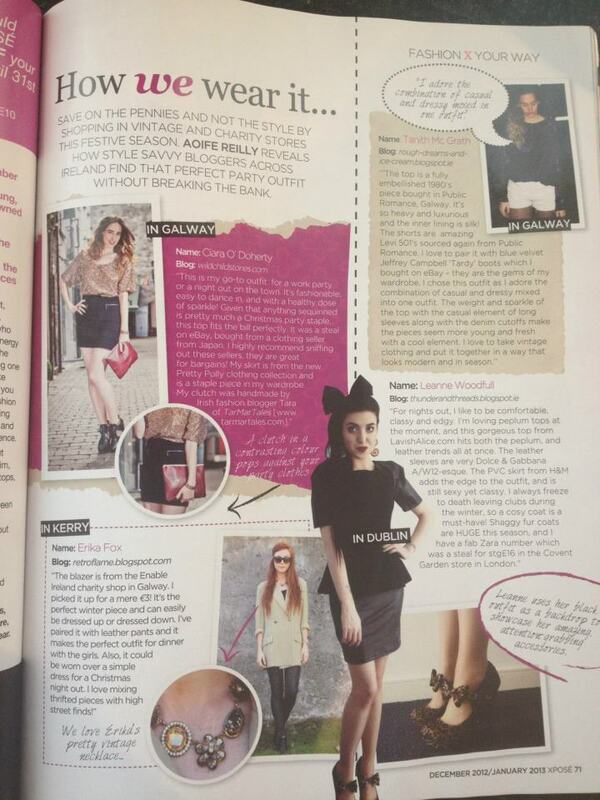 As I mentioned on my Facebook page, I have quite a few recent press features that I wanted to show you all! 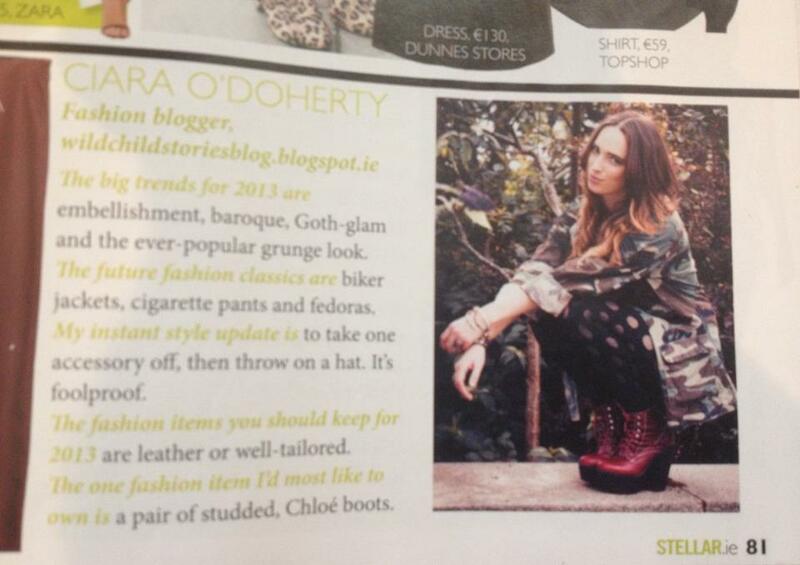 Two of them are in print magazines, and two are features are on popular Irish websites. 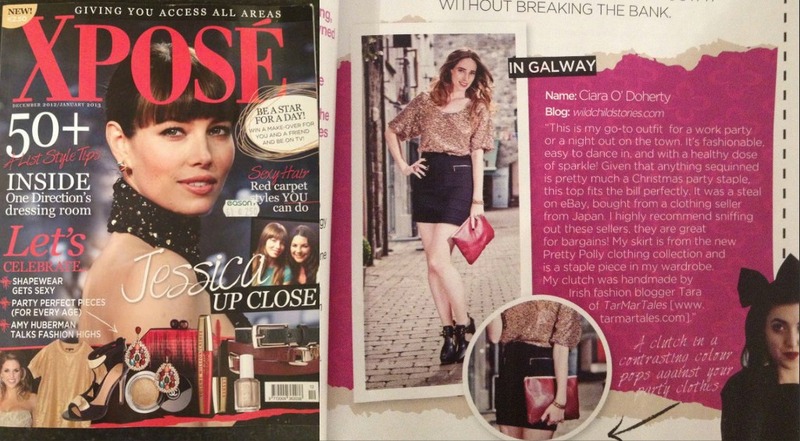 The first one was in the newly released Xpose magazine, in their first ever Issue! 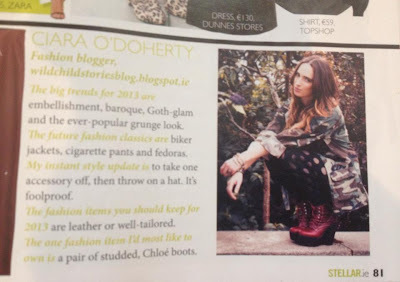 I was so happy to be featured, and delighted to be sharing the page with some amazing fellow bloggers and friends, Leanne from Thunder&Threads, Erika from Retro Flame, and Tanith from Rough Dreams & Ice Creams. The brief for the feature was to photograph an outfit that each of us would wear to a Christmas or Festive Party that included at least one item that was thrifted or a bargain find. I will include all the details of what Im wearing and more photos in an outfit post in the next few days so stay tuned for that! :) Here are some photos of the magazine feature, you can pick the Issue up yourselves in most newsagents, its priced at a very reasonable €2.50, and its their first issue so it would be great to support them! Its also a really good magazine and I have to say I really enjoyed reading it. 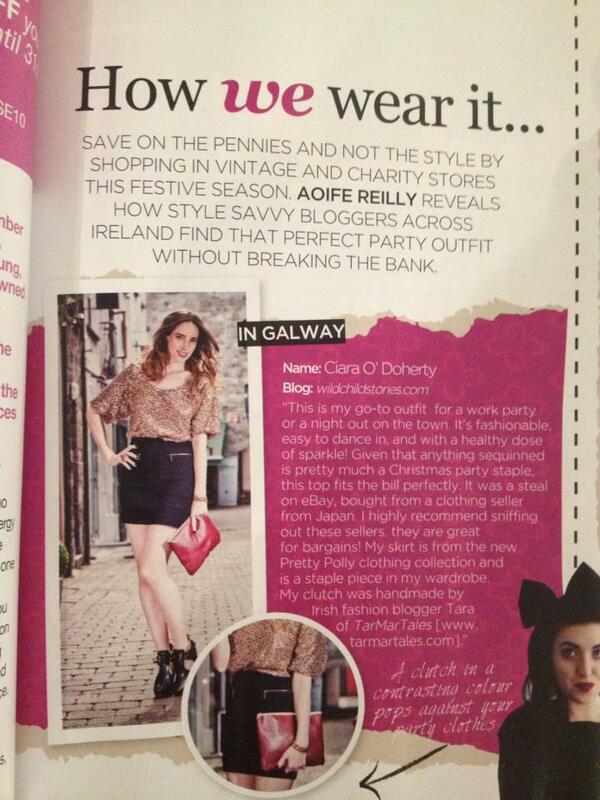 The second feature was in the very popular Stellar Magazine, which is my all-time favourite Irish Glossy. 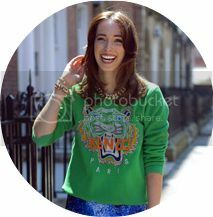 I have been lucky enough to be featured in the magazine before (read here) but this time felt extra special as I was featured alongside some really big names in Irelands Fashion and Media scene! The feature was about our "New Year Stye Resolutions" and it was great fun reading everyone else's answers as well as seeing mine there. 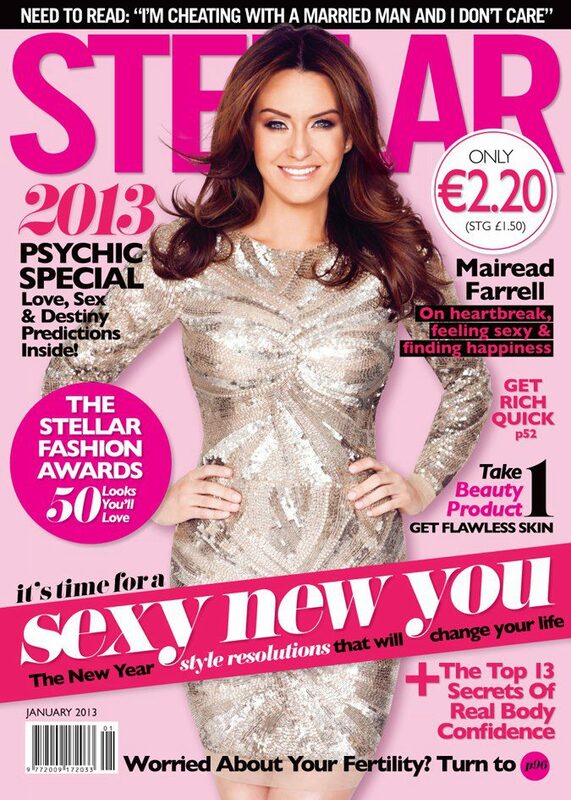 You can find Stellar magazine in all good newsagents ~ and it is always the bargain price of €2.20! 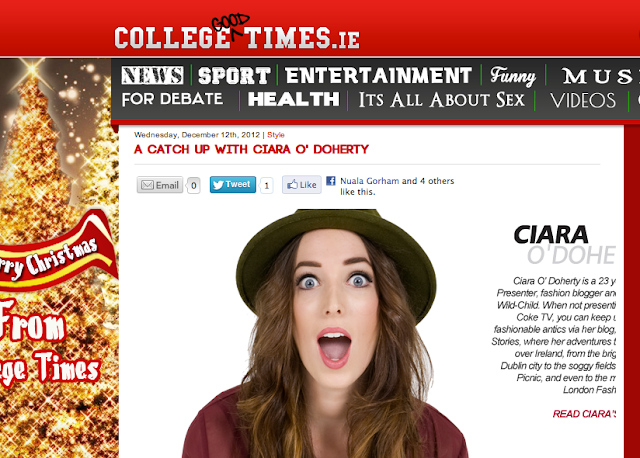 The next press feature was on the popular Irish website, LegsLove.ie. LegsLove did a feature on me quite some time ago after I won the Pretty Polly "Legs Eleven" competition and became their Brand Ambassador, (read more about that here) and this time I was contacted to be featured in a "One Year on from" piece, about my experiences since being awarded the title. I was so happy to be asked and I was really happy with how the piece turned out, you can read it here. The final press feature was a "Catch Up" feature on CollegeTimes.ie and I honestly was so overwhelmed and flattered to read such nice things said about me. It was written by the lovely Amber Doyle, and you can read it here. Those are all the features that I have to show you guys for now, I hope you like them! 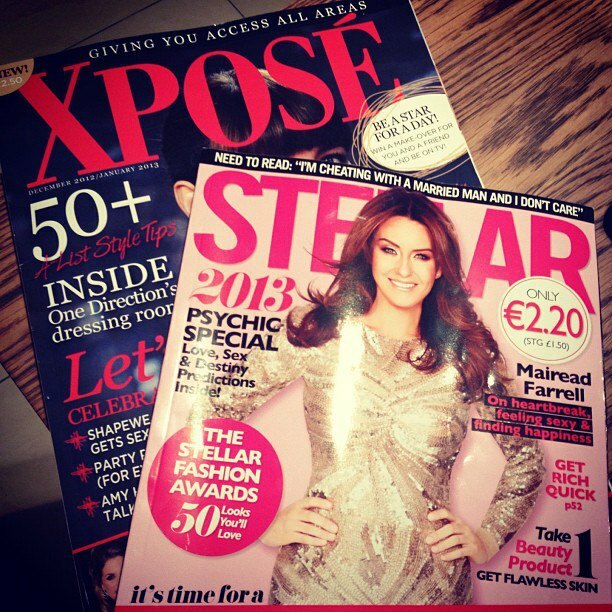 I'll have an outfit post up with the look from the Xposé feature in the next few days. Hoping everyone is ready for the weekend!